the title did paste but not the link.gonna do some research and retry tomorrow! Ok thats the one.Feel free to ask questions related to the video. These are the remaining montiporas in the system.I will keep them there for some months in the attempt of eliminating the nudibranchs.I founded the last one in date monday morning on the aquaman minifrag. New additions to the reef! Purple hard coral with no id. I did leave a post in the sps identification forum so maybe someone will know its name. Thanks to superstrech18 for the id and the link. Was able to take the picture of the new fish, not the nicest but he should be handy to help keep the sand clean. Ok, i did some tests tonight and everything seem good.I will fine tune my dosings to get closer to my goals. As you can see the wiring is a mess, but it quite easy to manage. My sump is really basic with no separations.I prefer it that way, in my old sump adding/removing or the maintenance of the equipement was arduous. Since the change, (april 2017) the skimmer is working as before so i will keep this setup. In the past i installed the sensor for the ato too close to the dosing tubes, in time the spill of the kh prevented a good reading from the optic sensor. 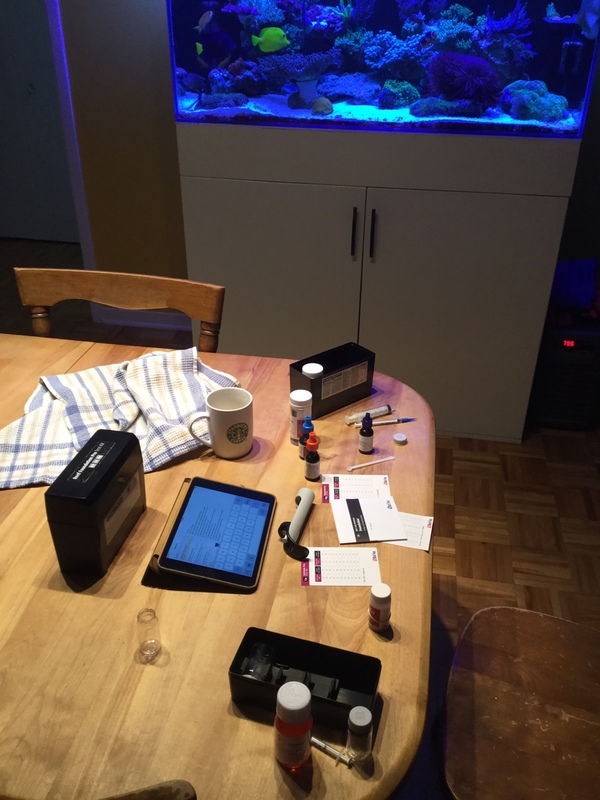 that about it for my tests, since i have a sps reef i dont check the ph, i only try to keep the alkalinity stable. The nitrates are new on my list of regular tests. 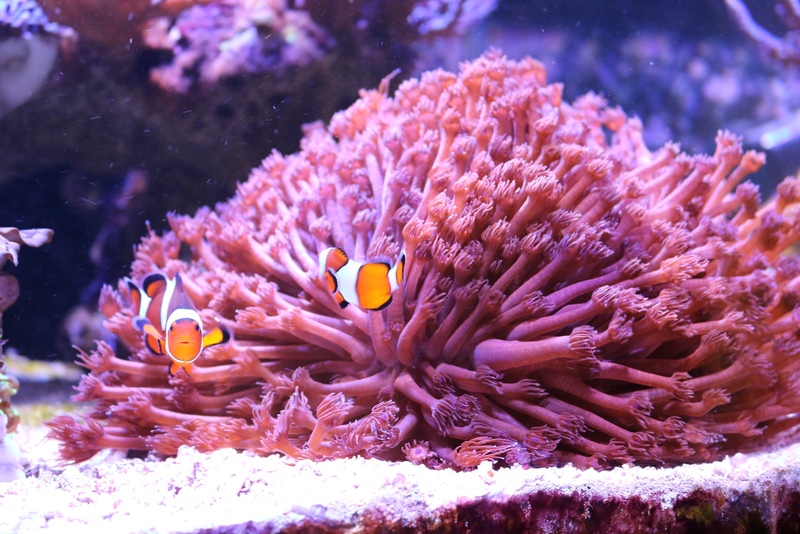 I will try to keep note of my results and monitor the changes with the corals accordingly. AEFW-I still dose flatworm stop (zeovit) and haven't seen other signs of infestation so once the bottle is empty i will probably command another one and continue to dose on aregular basis. Montipora eating nudibranch-Next monday will make 3 whole weeks since i saw the last nudibranch. Sleeper Banded Goby-He does a good job to clean the sand (ongoing process) and the corals at risk of being covered by sand have been ''goby-prooffed'' (elevated). Water change-I did test the salt and the results are close to my parameters,kh 7,ca 440,mg 1400.I will continue with the same brand (fauna marin). That's about it, i did add some crabs (porcelain 1,acro 1,emerald 3) and 3 acro frags from Fiji. What are you all dosing currently to your tank and how often? Hi cody thanks for the nice word.For the moment i dose the 3 mains (kh,ca,mg) with a kamoer dosing pump.This summer i used a bottle of flatworm stop to help some accros.Now the bottle is empty but i might buy another one since i like the result of the product (no more flatworm and more vivid red in my opinion).Other than that i use 1 spoon/week of reef-roids,coral snow from time to time and last week i started to dose a new product from fauna marin:coral sprint.I will document the change in the corals to see if the product live up to the expectations. I made the move to led (radion g4 pro 2x) at the end of february and so far i'm happy with the result. I really appreciate the low temperature of the radion vs the halide, since the switch my chiller haven't start a single time so the aquarium is even more enjoyable (less noise). The reef is running ok and i did add some frags lately. I did some changes in the aquascape to improve the flow, the rock structure is slightly lower and i reroved the big seriatopora colony (wich i gave to a friend only to saw it die the next week, probably because of the stress). 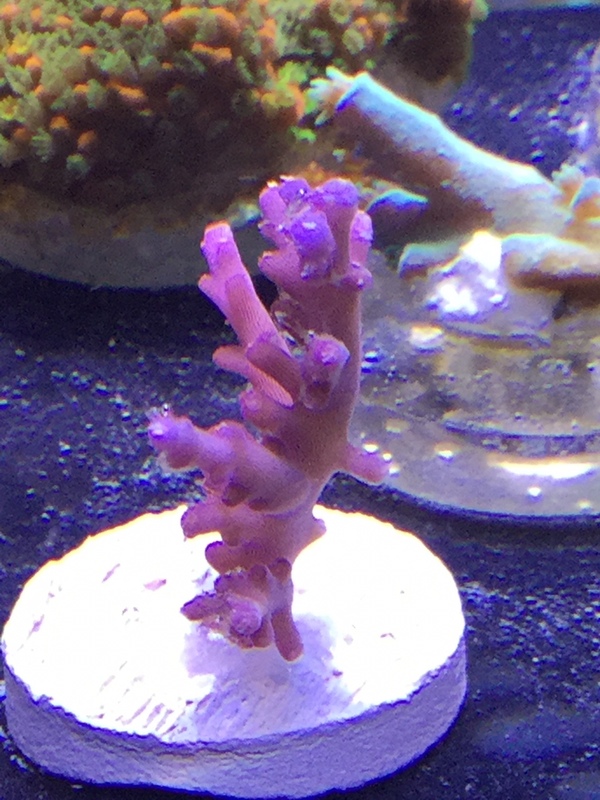 Acropora flatworms- i decided to discard my millipora with the infestation and only keep 3 healty frags. I did not see other sings of aefw since (+- 2 months). 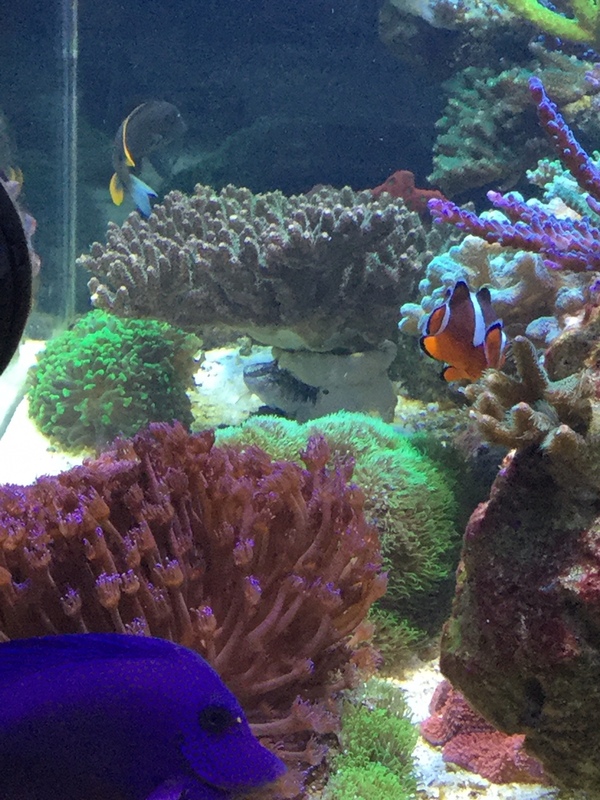 There is a new addition in the zebrasoma group "d' Artagnan" a small scopas who seem to enjoy is new home. Also i add 2 tridacna, one squamosa ultra and one maxima.